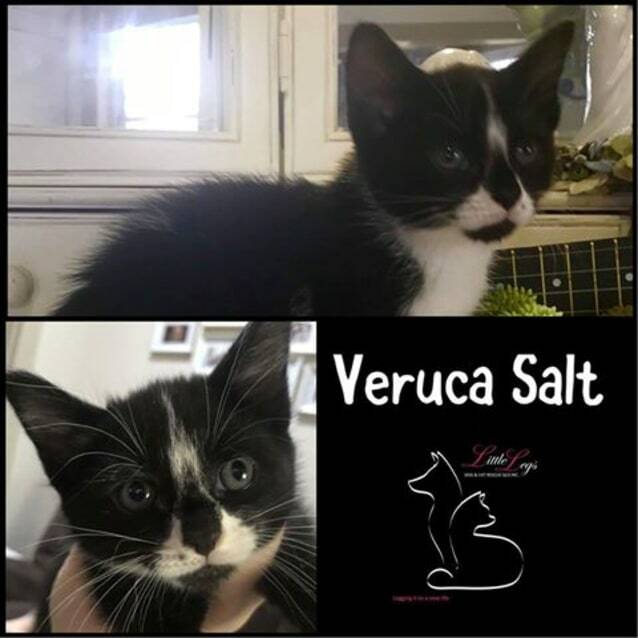 Veruca Salt is a sweet little kitten who loves pats. She is very boisterous and is the most playful of all of her brothers and sisters. She loves kids, just as much as she loves adults and will approach anyone who she thinks will play a game with her.